Marc Pritchard, the Sales and Marketing Director from Taylor Wimpey, joins Beth for a special interview. 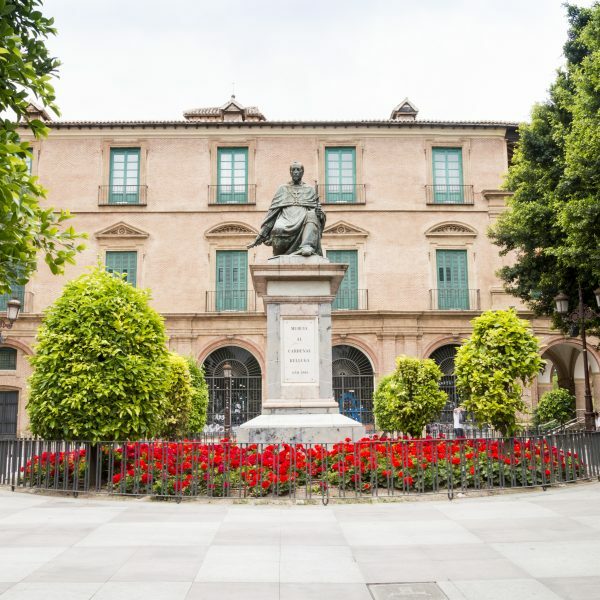 He shares his industry knowledge about the buying and selling property market in Spain. Tune in to learn about popular locations and new developments, and the potential impact of Brexit. [15:41] Is the Spanish economic crash in 2007 still a worry? [18:38] How will Brexit impact buying property in Spain? I’m Beth Davison and this week we have a special guest on the show. I’m speaking with Marc, Sales and Marketing Director for Taylor Wimpey España. They’ve been building in Spain since 1958. So, it’s safe to say Marc has a wealth of insider knowledge. Marc: My name is Marc, Marc Pritchard. I am the Sales and Marketing Director for Taylor Wimpey in Spain. I’ve been with Taylor Wimpey which used to be Taylor Woodrow before the merger between Taylor Woodrow and George Wimpey. I’ve been with the company since 1993 - so yeah, quite a few years. I started in sales – initially onsite and became Sales Manager for Taylor Wimpey on Majorca for the Balearic Islands, Majorca, Menorca. I then moved onto market development, making the company more international, and then I have been in my current role as a Sales and Marketing Director since 2012. Beth: So have you really seen the landscape change over that time, because you’ve been in this business a long time? Marc: Oh my God yes, it’s changed completely. The whole business has changed. However, it’s always been the same. The people have always come to Spain to buy a property because of the climate. I think that’s probably the key thing. The climate is the key. The sun we’re selling. I always say that what we actually do sell in Spain is the sun - we sell three hundred twenty days of sunshine every year. We sell the Spanish lifestyle. We sell the food, the red wine, the Mediterranean, the Mediterranean way of life. That’s what we really sell around here. The property, obviously, it has to be in the right place and it has to be the right property, but it’s this quality of life that we sell in Spain. I’ve been living here for nearly thirty years and it certainly is a great place to live without any doubt. Beth: So where were you from originally? Marc: I’m half British, half German. Beth: I thought there was an interesting accent happening there. Marc: I was brought up in Germany, near Hamburg. My father is British – my father is Welsh, and my mother is German. I was born and brought up in Germany. I’ve never lived in the UK. I moved to Spain in the late eighties, early nineties to Majorca. That was because of my parents. We always came here. We came to Majorca since the early seventies on our summer holiday and sometimes even autumn and spring holiday. So, I spent a lot of my youth - summer holidays and holidays in general on Majorca. I’ve known the island since I was, yeah, a toddler, literally. Beth: Yeah, it’s really nice that you can give firsthand experience to people also looking to relocate. You can say, I’ve done that, and this is why, and this is why it worked. Marc: Yeah, yeah, absolutely. Obviously, buying this property abroad is a very, very big decision and we all understand that. I think the real thing is to just make your homework before you do anything. I think it’s very, very important, always, is legal advice. Don’t forget that you’re going to a totally different country where you really don’t know anything. You don’t speak the language, which is completely different. You don’t know the culture. You don’t know the way which things work, so legal advice is very important from day one. I think, before you buy anywhere, just go to these places and see for yourself and don’t only go there in summer but go there in spring, go in autumn, go in winter, because winter time in Spain, most of the areas can be very, very different from what they are, actually, in summer. So, spend some longer times there, longer periods. Drive around and find your ideal place and the place that you would like to be. Find it for yourselves, just go and see for yourself. Beth: Yeah, totally. I think that’s great advice. Am I right in thinking that you focus mainly in the sale of new builds? Marc: We only do new builds. Taylor Wimpey has been building in Spain since 1958. Generally speaking an off-plan is the standard at the moment and we’re not the only ones. There are quite a few other competitors. There are new competitors getting into the market. So yeah, off-plan, new build is common in some specific areas. It’s not all over Spain. It’s not all over the Mediterranean coast. You do have hot spots where, where new build is actually doing extremely well which is on Majorca, generally, around Majorca. Now the offer is not as big as it would be on the Costa Blanca and the Costa del Sol. Ibiza and the Costa Blanca South are very active. So anything between Alicante, right down to Torrevieja, Orihuela, which is a coast line of round about forty, forty-five miles is extremely busy. A couple of thousand of new villas and apartments are being built and most of them are sold off-plan. There’s a very similar situation down in Marbella, especially the greater Marbella area. So take Marbella and drive probably fifteen, twenty miles down the coast and fifteen, twenty miles up the coast towards Malaga and there is a lot of building activity going on. Beth: Do you think its meeting demand? Is it all kind of spoken for, or do you think that they are overbuilding with the hope that more people are going to buy in the next couple of years? Now the second home market we operate, or the holiday home market, is minute. We’re just a very, very small market. It doesn’t have to do anything. We’re not in the thousands, not in the tens of thousands. 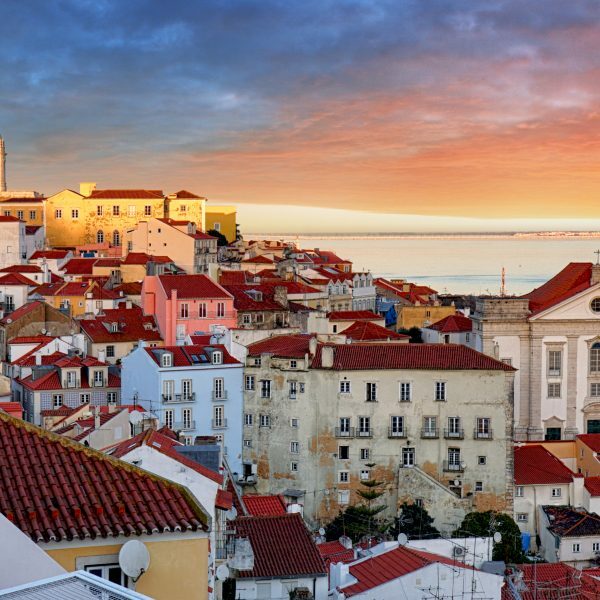 The foreigners are an important market, especially on the Mediterranean coast. But we’re certainly not oversupplying the market at the moment. The demand is there, but why? Just to give you some more figures, in 2007 we sold to, I think it was, nine different nationalities in 2007. In 2017, ten years on, we sold to thirty three different nationalities. Beth: That’s incredible, isn’t it? Marc: Yeah, that really shows what the Spanish property market has done. It was a little bit of everyone. Everything is getting more with the Internet and everything is getting much more global. So, we’re selling much more international than we ever have. So, there’s a lot more demand from places like Central and Northern Europe, especially Scandinavian, Swedish, Norwegian. Then in central Europe the Dutch, the Belgians – the Belgians are a great market, a very big market. The Russians are quite strong. The Polish market is getting stronger and stronger. We have Hungarians buying, we’ve got Slovaks buying. We have people from Croatia buying. We have Italian, French, and then, obviously, you’ve got overseas. The two main markets are still... number one is and has been (even with Brexit) the British market, and the German market is extremely strong too. Then you have another, more niche market, which is the Middle East. Places like Kuwait, Saudi Arabia, Qatar, and I’m not talking multi-million properties for the Arabs. They’re buying apartments, specifically and mainly in the Costa del Sol and the Marbella area particularly in the market segment of two, three, four hundred thousand Euros. Beth: That’s so interesting. Do find that there are hubs for different nationalities? Do people tend to collect in one specific place or is it widespread? Marc: Yes, they do. Majorca is driven by the German market. That’s not a secret. It has been that for probably the last twenty, twenty-five years. However, it’s not the only market in Majorca we have British buying, we have German buying, we have Swedish buying, Swiss, but Majorca is not as international, for instance, as the Costa del Sol or the Costa Blanca. 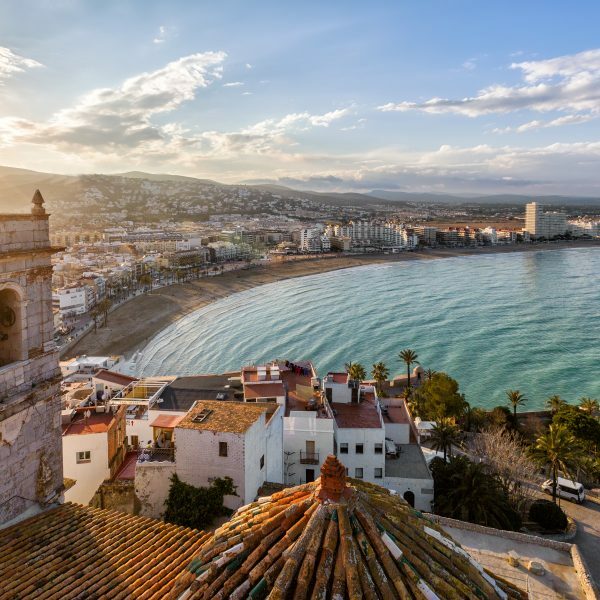 Now, you can go from town to town on the Costa Blanca. 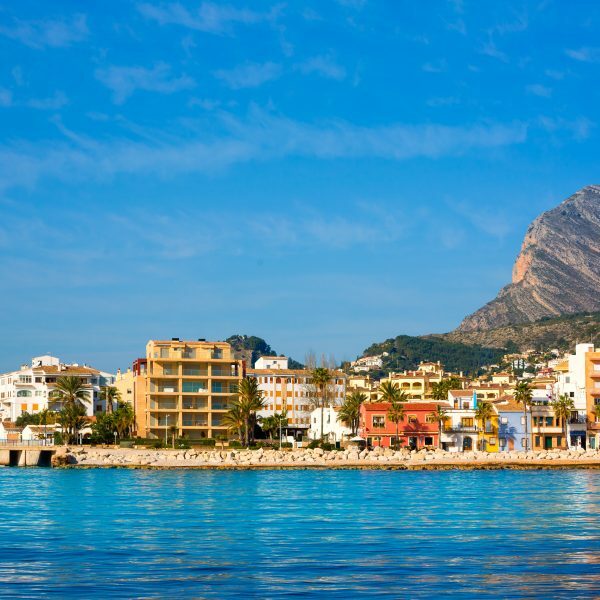 You can start in the North from Denia, go down to Jávea, to Moraira, and in every area will have one nationality which probably stands out. Jávea is and has always been a market for the Spanish nationals, or Spanish nationals buying second homes, and the British. Then, if we go to Moraira, we’ve got a lot of Germans, a lot of Swiss, but a lot of British too. But you will have each and every town, each and every coastal town will have a nationality which does stand out. Beth: Fantastic, so if we focus on Brits, where are the places that spring up for you as being the most popular for them at the moment? Marc: We are, for us at the moment, the British market is strongest in the Marbella area. 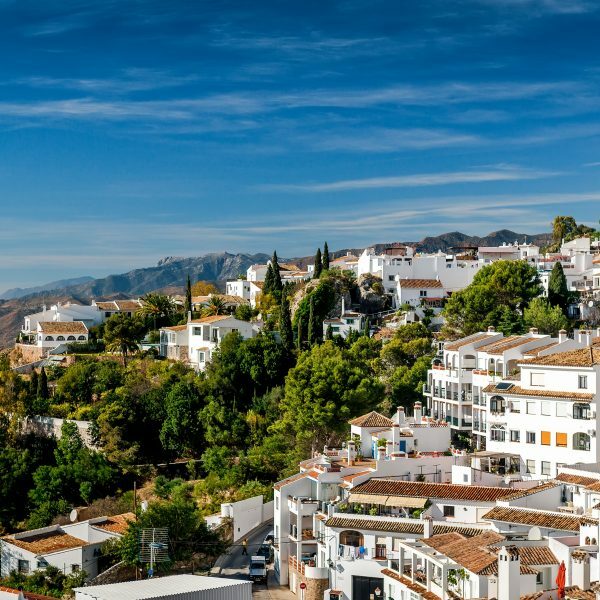 We’ve got one specific area where we are building a lot at the moment which is La Cala De Mijas, which is near Mijas, just twenty minutes west of Malaga, twenty-five minutes west of Malaga, and we’ve got a big development there. On La Cala Golf, which is the largest golf resort in Europe – so, it’s got three eighteen hole golf courses, about four miles away from the coast. That’s turning out to be very popular with the British market. We’ve got a land bank there for another eight to ten years, so we’re steadily building there. But yeah, it’s typically the Costa del Sol which is working best for us for Taylor Wimpey as a property developer with the British market. On the Costa Blanca we’re not selling that much to the British market which always has to do with the portfolio of product that you’ve got for sale at this moment in time. So, everything we have for sale on the Costa Blanca is in the slightly higher price range. 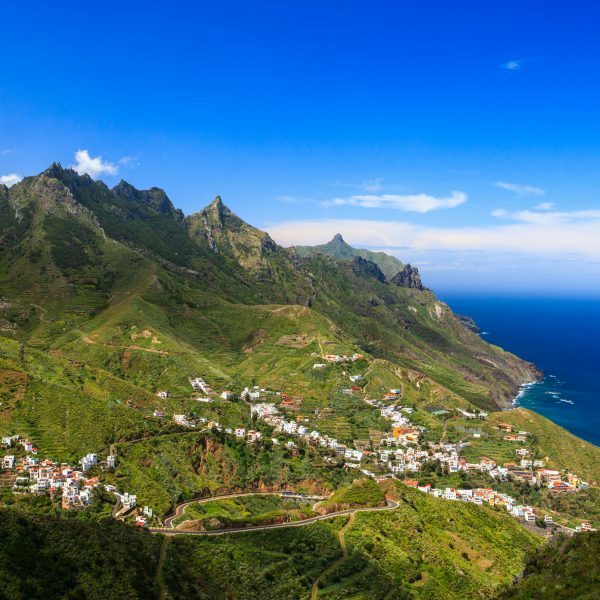 So, starting at the moment currently, we’ve got one development which we’re starting on which is slightly cheaper, but generally we’re talking around two hundred, two hundred twenty, two hundred fifty thousand Euros and going upwards, which on the Costa Blanca is already the higher end. Therefore, the product range that we have on the Costa Blanca doesn’t suite the British market that well. However, we’ve got a development coming up now, which is starting at one hundred thirty thousand pounds for townhouses with three beds, and that could work quite well for the British market. You get a lot of property for your money and that’s on Alenda Golf, which is a golf course just outside of Alicante, outside of Elche. It’s a ten minute drive from the sea. It’s a ten minute drive from the airport and it’s a ten minute drive from Alicante. So, you’re on the golf course, you do have some amenities, but you do need a car. You get, for one hundred thirty thousand pounds, a townhouse three bed terraced house with about one hundred fifteen square metres. You get an awful lot for your money. It’s quite modern, with roof terraces. We have one development coming up which could suit the British market. The other developments, which are first line or second line to the sea, obviously the price range is slightly higher. 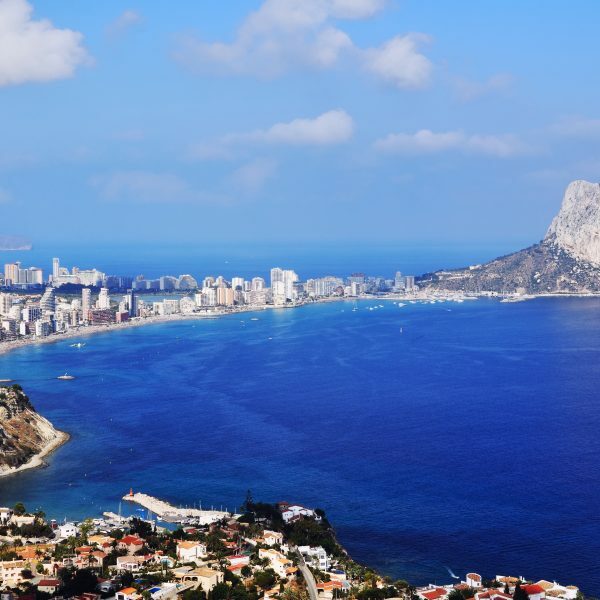 On the Costa Blanca you have a British market which tends to look for properties in the one hundred, one hundred fifty thousand pound region. Beth: Yeah, fantastic. Do you find that people, that their background is similar? Are they often retired, or are the relocating, or is it holiday homes? Which spring out as being the most common? Marc: I think you’ve got to look at everything. What we are selling, on the Costa Blanca, and the Torrevieja area or the southern Costa Blanca, between Alicante and Torrevieja, you do have a lot of people who are actually relocating. You actually have people in the retirement ages looking to retire in that area. Why that area? There is quite a lot of sunshine, it’s probably warmer in winter than is probably northern Costa Blanca or the balearic islands. So, you’ve got a bit of people retiring there. For us, at Taylor Wimpey, the average age at the moment is just under fifty, so what we are selling is a second home, a holiday home. We’ve got a lot of clients who decide to come for long weekends. They come on a Thursday evening – afternoon, evening and they fly back on a Monday morning. We’ve got a lot of people working from here. Obviously, with the internet you can work from your apartment it’s a lot nicer weather than you have in the UK. So, what we are selling, typically, are apartments in developments, two and three bedrooms, and you can actually work from there. So, the developments that we sell, the product we sell is mainly, is designed and made to go there, open the door and have a holiday or disconnect immediately. We hardly have any detached properties where you look after your garden or your swimming pool. The majority is within a community of owners. So you go there, you open it, you leave, you lock it. That’s really what we do. That’s our product range, literally throughout Spain with some sites where we do things slightly different but generally that’s what we do. Beth: When it comes to new builds, does it present different challenges for buyers? Are there things they need to be aware with new builds, or vice versa really? Marc: I think that if you buy a new build just make sure you buy it from a reputable company – from a company that has been in business for a couple of years or quite a few years. Ask them to show you reference developments, reference projects, show homes. Make sure that you do have a legal advisor, that you have somebody taking you through the buying process. It is important that you make sure that, if you buy off-plan you are going to make payments up front, so make sure that the builder hands out bank guarantees. They are obliged, they have to, but still it’s not the standard that everybody does it. They will try to make their way around it because it is quite expensive. Plus it’s difficult to get bank guarantees and secondly it’s quite expensive to get bank guarantees. Not every company will get bank guarantees because the Spanish banks will not give them to them if they’re not a reputable company and they haven’t got the financial backup. So yeah, those things are extremely, extremely important. That you do make sure that everything is right and just make sure that it is a company who has been in business for some time, not somebody who’s just popped up, doing one development, and is going to disappear again. Beth: And you mentioned the crash, obviously, that happened about ten years ago now, gosh time flies. Is that a worry? Marc: Ummm, one thing that we have to be aware of, and obviously we’ve got ups and downs in any business. Businesses have got good years and businesses have got bad years and we will not... I honest do not know that we will ever have a crash as we had again. Just to give you an idea, we, in 2007, we had the total headcount in Taylor Wimpey in Spain and that was just under two hundred and from 2007 to 2010 we went down to forty-two. We went, now, from 2010 to 2017, beginning we’re back up to one hundred. We’re Ok, that’s really where we want to be. We will build and sell, this year, right around about four hundred properties. But the crash was hefty. We could see that something was going already in 2004, 2005. The first signs were there. Anybody could say what they want and that there weren’t signs until 2008. I think it was written across the horizon that something was going to hit us. The tsunami was just basically waiting, approaching us but we didn’t want to see it. I don’t think, first of all, the banks are not giving the money away as they did in those days. I can remember anybody and everybody got a mortgage and you didn’t have to present anything in Spain. So, basically anybody with... I know of situations of people here in Spain, being unemployed, without a work contract, already having one mortgage, actually getting another mortgage. So, that gives you an idea what happened here in Spain. It was quite normal to get mortgages of one hundred and ten per cent, and even one hundred and fifteen per cent. It was obvious that something bad was going to happen. This is not the case at the moment. The banks are not as aggressive giving mortgages out. The maximum you will get is seventy per cent of the valuation of the property, or the selling price, whichever is the lower. You will get that but they will check you quite thoroughly. That means, if you don’t have... so, seventy percent valuations, the buying costs in Spain, it doesn’t matter if it’s resale or a new build, anything between twelve and fifteen per cent. That’s what you have to calculate, on top of the selling price, on top of the purchase price, always add, it depends on the region, it depends on the property but between twelve and fifteen per cent. Allow this amount to go on top. So, the banks will only give you seventy per cent of the selling price, not including all the buying costs. So, you will need forty to forty-five per cent of the purchase price in your bank account. Beth: OK, and what about Brexit? I did want to discuss that and whether you think how that’s going to impact the buying of new builds, but also whether it makes, now, quite a good time to be buying or a risky time to be buying? Marc: We all don’t know what’s going to happen as a crystal ball. I’ll just give you the string. It was June 2016 that the UK voted for the Brexit. The immediate aftermath... Basically the twelve months after Brexit, so June 2016 to June 2017, the British market for us, which is June 2016 was our strongest market, dropped down to sixth position, for us as a UK house builder. So, it actually was overtaken by the Germans, by the Belgians, the Scandinavians, Swedish,Norwegians, and even the Russians overtook the British market. Then, in June 2017, when it was in sixth place it suddenly started taking off. We’re not quite sure why, to be honest. I don’t know why. But at this moment, from June 2017 to December 2017 it went back into second position. So, at the end of 2017 the British market was the second best, again, for us. If we look at the first three months of 2018, the British market is the strongest market for us. Beth: Fascinating isn’t it? That’s not really what you would expect. Marc: No, we don’t quite understand it to be honest. There are several scenarios which you can think of. First of all, we have just come back from a property exhibition in Manchester, over the weekend. We spoke, there were four of us on the stand, and I was on the panel there too. Nobody really approached us with Brexit. I think we had one or two clients understand. The Brexit is something that the people have assumed. It’s there and it’s probably going to happen. Hopefully it’s going to happen well for all of us. I think the politicians are hopefully going to do something and not anything stupid. Marc: Which we’ll see. On the other hand, one thing that we have to be aware of is Norwegians, Swiss, Americans, as I said, we had thirty-three different nationalities. Out of these thirty-three different nationalities probably only fifteen, maybe twenty were European Union. All the others were outside of the European Union and that didn’t stop them buying. So, not a lot will change for the British buying property in Spain. We don’t know what will change, but they won’t pay any higher prices and they’ll pay exactly the same VAT. The only thing where it could be difficult or where they could have more difficulties is in terms of inheritance and in terms of when they resell the property because we’ve got capital gains taxes in Spain. Because in America at the moment, the capital gains tax an American will pay, at the moment in Spain, is twenty-four per cent, and an EU, European Union national is only paying nineteen per cent. I don’t think a lot more will happen. But, to be honest, at the moment it’s as if nothing is happening. So, the UK market is actually quite buoyant even at the exchange rate which is only one thirteen, hovering between one twelve, one thirteen, sometimes one eleven and one fourteen. But I think that’s very, very important - the exchange rate. As long as it’s stable it’s OK, everything works quite well. We always can see when the exchange rate starts hovering around, that’s when you can see people run away, “Let’s wait and see what the exchange rate is going to do.” As it’s been pretty stable over the last four or five months, we can see the UK market actually being much more active than we all anticipated. Beth: Is this the kind of thing that you think you can give people advice on. Obviously you’re knowledgeable in it all. If someone was worried about resale value or about a percentage change in tax, and whatever can they ask you? Would you say always have a solicitor on hand? How would you best overcome that? Marc: We try to guide our clients, obviously, but we have legal experts onboard. One thing we always say to is go around and shop around. Just make sure that you get somebody independent and not somebody that’s directly linked to anybody. That’s quite important. Yeah, obviously again, we don’t have the crystal ball. I don’t know what they’re going to do about taxes. I don’t know what’s going to happen to the exchange rate. That’s just something that could change any day and that just has to be bad news of TV tonight or something is going to happen in Russia or something else is going to happen in the United States and it just could completely change. So, we have to be careful. We give the advice as much as we can. We give the advice where we know what we do know about and that’s about property. One thing I do know about, obviously, if you buy a new property I would say that’s better than buying a resale or twenty year old property. Even if that’s a Taylor Wimpey property, I would always say what we built today is obviously better than what we built ten, fifteen, or twenty years ago. It’s more modern, it’s more energy efficient and sometimes it’s even in better locations. So, that’s what we can guide our clients on. Beth: Yeah, perfect. Well that’s great. Thank you so much for taking the time out to talk to me. You have so much knowledge. Thank you for sharing some of it. There are some great tips in there. Marc: Thank you very much. Beth: Thank you for listening, and a huge thank you to Marc, and Taylor Wimpey for making this episode possible. I had no idea about all the different nationalities buying in Spain or about how common it can be to buy off-plan. I hope there was some information in our conversation that can help you in your buying process. Don’t forget to subscribe to the podcast so, just in case you missed them, you can hear all previous episodes. This podcast is produced by Kyero.com and our mission is to connect you with estate agents and properties throughout Spain. Get a location guide also by emailing [email protected]. We’ll reply with the latest data and information on the areas you are interested in.